10 Shopping Days Left! Great Gift Ideas in a Recession Economy! Everyone loves to give generously during the Christmas Season, but in a recession economy spending too much on gifts is not wise. Christmas gifts don't have to be expensive, but more importantly meaningful. Here are a few gift ideas that will please everyone on your gift list without breaking the bank. 1. Remember "It's the thought that counts." The gifts we give need to be thoughtful and aimed at the person we are giving them to. 2. Rather than asking each person on your gift list what they most want, instead take a little extra time to think what makes each of them happy and what they enjoy. 3. Re-gift. Now-a-days this is a green idea; the key is giving the item to someone who will appreciate it. Or if you're on humorous terms with someone, give it as a white elephant and start a new family tradition. 4. Another great idea is the gift of photos; they can be of family, pets, vacations or memories. Photos are always a PRICELESS gift, and are very personal and meaningful. They are many options make them into greeting cards which you print yourself. You can print them and simply put them in a fancy envelope and write comments on the back of the photos. This is a simple gesture that will be PRICELESS to the recipients. You can purchase everything you need to print your photos at home from Priceless Inkjet Co; this can be done very reasonably with our Value Priced Options. 5. Don't use expensive gift wrap, you can use tissue paper, or simply but a bow around the gifts. You can also choose to go green and wrap the gifts in old newspapers. Remember when giving a gift to a family member or friend it does not have to be expensive or extravagant. It's the thought that counts, the gift or photos and memories are PRICELESS. As you know many prices continue to increase daily, which affect each of us in some way. As of January 1st, 2009 Hewlett Packard is implementing another price increase, affecting many of their products. 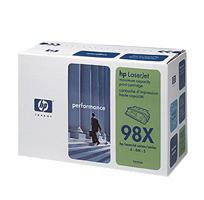 If you need Hewlett Packard supplies, now is the time to order and take advantage of current pricing, saving you money. We encourage you not to wait, as demand is already increasing for the most popular products. At Priceless Inkjet Cartridge, we strive to bring you the best products and competitive prices. Contact our sales department today, and place your order before the prices increase.